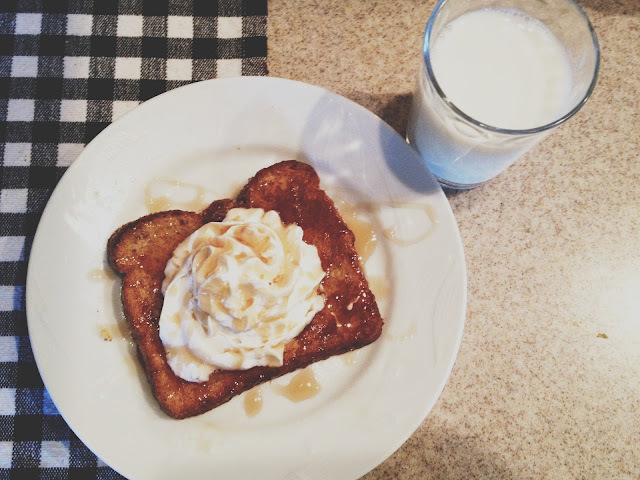 Don't Mind if I Do: French Toast with something extra. French Toast with something extra. Our latest breakfast obsession has been French toast. I love it, it's the hub's favorite and the kids are slowly taking a liking to it too. So why not, right? I also put a secret ingredient in it this time and it was quite a hit. Hi I'm Megumi. Welcome to my "do it all" blog. Because if you know me, I just want to do it all -- photography, cooking, baking, fashion, and all things creative! Most of the time I just get by doing the minimum, but when I accomplish something, this is where you'll see it >> My favorite recipes, style tips, photos, diy projects, and a smidge of real life. Thanks for stopping by! all images and content of this blog is © 2014 Megumi Maris Photography. all rights reserved. please do not take images or content from this site without written permission. © 2012 Megumi Maris Photography. Simple theme. Powered by Blogger.